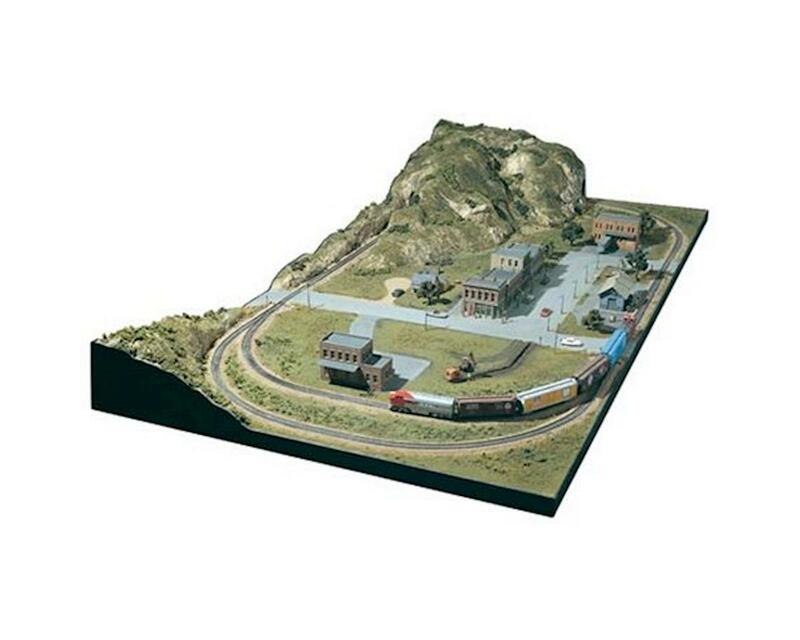 The Mountain Valley Scenery Kit is great for modelers who have their track nailed on a 4x8-foot piece of plywood and would like to add scenery and build a tunnel. It is designed for HO scale, but easily adapts to N and O scales. It includes all materials, instructions and patterns needed to add trees, grass, weeds, rocks, mountains, a tunnel, ballast and more. Over 24 products are included...even paint and glue! Step-by-step instructions make this kit easy.